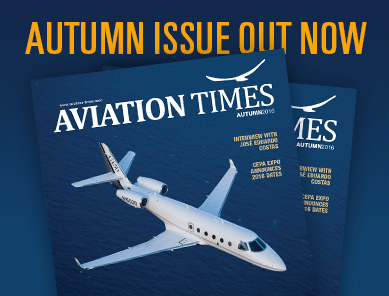 Gareth Danker, Director of Sales and Marketing at Euro Jet, one of the world’s leading provider of flight and ground support services, recently took time to share with AVIATION Times his view of business aviation in central Europe. The static growth has not necessarily affected us. Euro Jet has seen continued record growth over the past eight years. We have not seen flat growth, we have had record growth each and every year. We have all seen the EU crisis in Southern Europe, especially Greece, issues with Russian sanctions and still the continent has remained relatively stable. Therefore, maintaining flat growth is a good thing considering all the challenges that European business aviation has faced. What do you see as the biggest threat to the future of business aviation in Europe? We do not really see there to be any major threats. Talking about the future of European aviation market, how do you see European business aviation in five and ten years’ time? We see it getting stronger. We think that the Spanish, Portuguese, Greek markets will continue to improve and position themselves well. In our opinion, UK will – while they have challenges – will come out OK once everything is finalized. We remain positive. The German aviation sector continues to be strong and we feel that it will continue to grow as well as the Scandinavian market. We see great potential over the next years and further growth in this industry. Where do you see future growth coming from? Which regions and sectors of business? As a ground support company we see most of our business coming from U.S., Europe and Asia while we all know the Chinese market has been not as strong as it has been anticipated years ago, but we still do business in China with Asian companies. U.S. clients are very strong and European customers continue to strive despite Russian sanctions, Brexit and the struggles of Greek financial crisis. How secure do you think European aircraft operators are? Anyone who has been in private aviation knows that nothing is ever secure when it comes to stability of an aircraft operator. Very much depends on the investment the owner wants to make in the aircraft. Security also depends on how well they will market themselves and properly price trips and be as financially stable as possible. This is a very competitive industry on the charter side and it requires some very savvy financial decisions to sustain a profitable operation. That depends on what the final agreement will look like. We can consider this issue upon solely immigration, or based upon both immigration and economic restrictions and limiting to what is currently a relatively free market in UK. If it does restrict the free market, then yes, there could be a negative impact on UK operators flying freely to EU. They will need permits; they will be paying more… Such events could hurt the British economy and in turn impact business aviation in UK, from airport standpoint and less aircraft standpoint. Share the post "Interview with Gareth Danker, Director of Sales and Marketing at Euro Jet"